Soon after you start coming to CrossFit Sioux Falls you learn how to release the animal inside of you. Most people don’t realize how hard they can truly push themselves. But when the music starts blasting, the weights are getting thrown around and 15 other CrossFitters are cranking it, you find yourself in that WOD ZONE and nothing can stop you…Ever feel like that? “O.T. All Out Effort” is pushing yourself to the very last second… The very last no matter what! Two things happen every day during a WOD. 2. Or you don’t and you are a Piker. Wednesday’s WOD was the “chief”: 5x Cycles of as many rounds as possible in 3 minutes of 3 Power Cleans, 6 Pushups, 9 air squats..then rest 1 minute. You are in cycle 3 of the Chief you just finished 4 rounds and you have 15 seconds left…what do you do? “O.T. All Effort”: You don’t care how many seconds/rounds are left because you are too busy pushing and working until the very last second!!! “Piker”: You stop because you have 2 more longggg rounds to go and you want to “save” your energy. You are 30 seconds away from finishing an AMRAP 20 minutes of Wall Balls, KB swings, and Pushups, you have just completed your 9th round and they is no way you will hit your goal of 10 rounds…what do you do??? “O.T. All Out Effort”: You complete that last pushup & jump up and start the next round! And fight for every last second until the clock hits 20MINS! “Piker”: You bag it and give in to your fatigue and let the last 30 seconds eat away while everyone else is working HARD!!! Have you experienced O.T. Effort or were you a Piker? O.T. All Out Effort is the magic formula for success. It gets you from getting results to getting UNBELIEVABLE RESULTS! Not only that, it gets you to believe in yourself, have confidence in yourself, and build bullet proof mental toughness where no matter what happens in your life you will succeed. The great thing about CrossFit is you have an opportunity daily to make that O.T. Effort happen all the time and a place that encourages, supports and pushes you to get there. Thoughts? Comments? Stories? Post them! 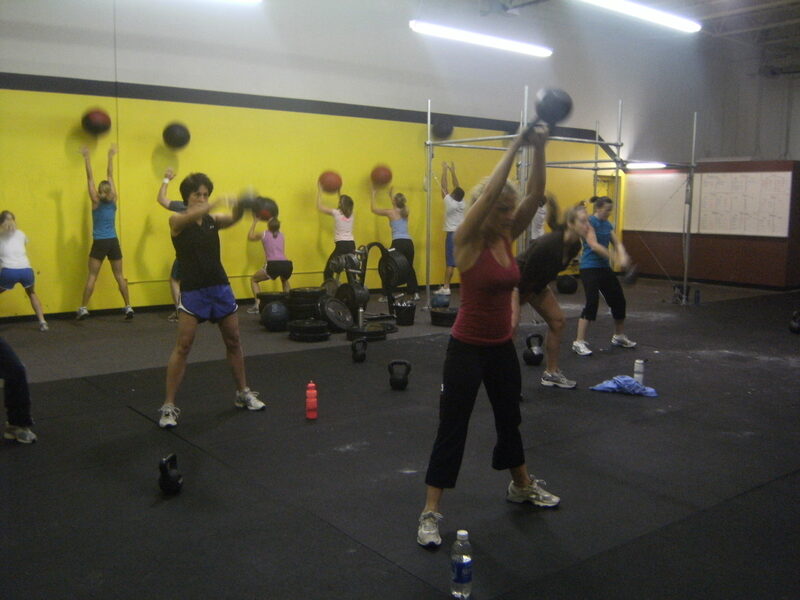 This entry was posted on March 12, 2010 at 6:13 pm and is filed under Crossfit Philosophy, CrossFit Workouts, Members. You can follow any responses to this entry through the RSS 2.0 feed. You can leave a response, or trackback from your own site. Love the Piker term… from now on; at BHCF if I see someone slacking, they’re getting the “piker” card thrown at them. sad to say i have been known as a “piker” at times. or how about when the round is 3 things the first of which you don’t like, the clock is running out and you skip the first exercise and go to the one you prefer to do. yes, i admit to have done that as well – guilty as charged. goal for the rest of the month… don’t be a “piker”!!! I concur with Jeri, I have done it as well. There’s not time better than now to start self-improvement. OK, so it was me Wed!!! I was “piking” during the last minute of the last round of Chief, I was settling for the “lottery pick” as Chris would put it. And I got called on it and got called out! With much verbal encouragement I pulled out another round and with 10 sec remaining I got the three cleans, even though it didn’t matter on my score. 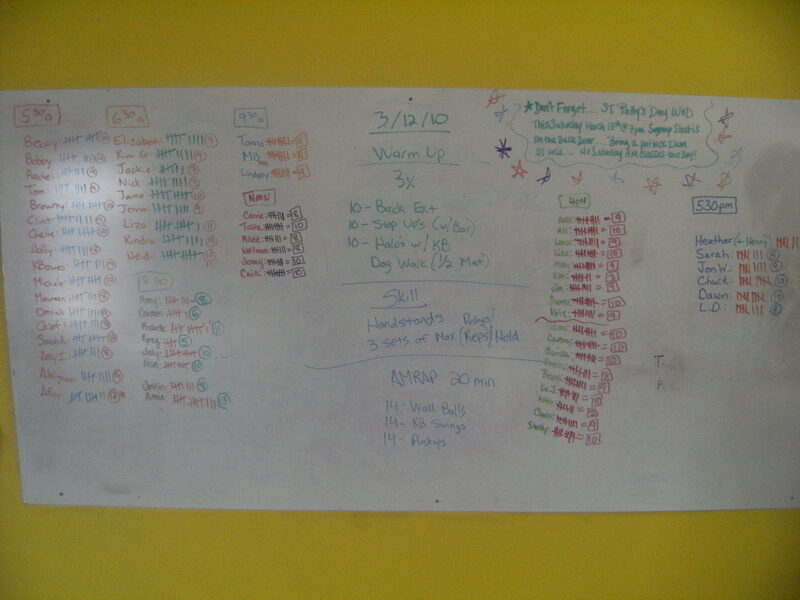 It probably wasn’t my all time best workout, but I left all I had in the Box that day, I had absolutely nothing left! I was reminded that day that it takes more than just showing up! I don’t only owe it to myself, I owe to all of you, I owe going into OT so you will too. If we are all just going to settle we might as well be at The Wellness Center!!! My 530a peeps know which I am…so often I keep pushing through until the last sec. only because they are encouraging me to get it done!